Forty two inches of creative elements. 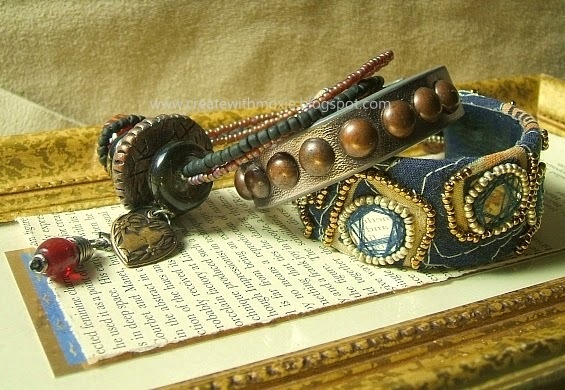 wrapped on your wrist as a bracelet. A personal made to order wrap just for you. An embellished tie became a cuff, buttons decorate a bangle and the red bead represents rage.... my new line of jewelry is properly called Sweet Revenge. that will help rid mental clutter. Available for purchase or may be ordered as a giclee. 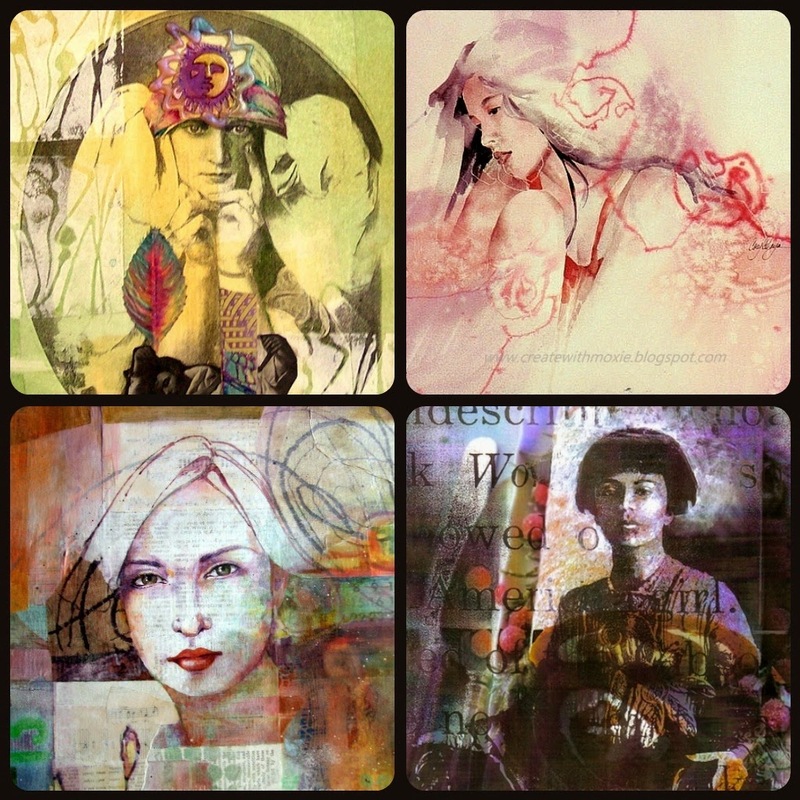 Four female faces in different mediums and styles. Top left: Altered photo copy image. Collaged papers, silk leaf, and stamping. Top right: A watercolor painting of my granddaughter Melisa. Painted loosely live. Bottom left: Detail of an original mixed media painting. Bottom right: Altered paper images in mixed watermedia. An original drawing. A Vita Gallery and Boutique - Ajo, AZ. Ajo Chamber of Commerce gift shop - Ajo, AZ. Ajo Copper News Gallery - Ajo, AZ. Also available as giclee upon request.